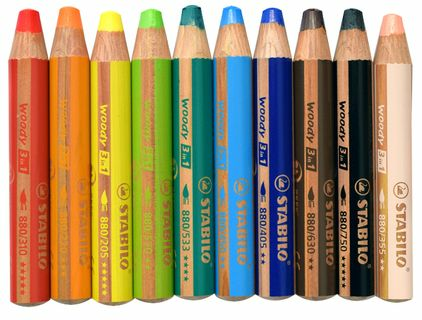 The Stabilo Woody 3-in-1 are "multi-talented pencils" that function as a colored pencil, wax crayon, and watercolor all in one! 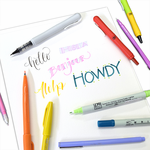 Perfect for young artists, these unique tools work for multiple drawing and painting projects. Marks will wash off non-porous surfaces like windows. Large barrels are easy to grab and contain as much color as 8 regular colored pencils! Vibrantly opaque colors show up even on darker papers.